“While the rest of the market is going one way, with selfie sticks and curved screens, we’re going down another, to the heart of problems, sticking with privacy and security,” said Silent Circle’s Mike Janke at the launch of the company’s new secure smartphone, the Blackphone 2. He just meant what he said and the smartphone does speak for itself. The Blackphone 2 has got it all, a 5-inch Full HD display with Gorilla Glass 3 protection, 3GB of RAM, 3060 mAh battery and is powered by a 64-bit Qualcomm octa-core processor. The phone runs on a custom build Android version which the company named as PrivateOS 1.1. This PrivateOS 1.1 adds an enterprise level highly secure layer that runs on top of Google’s Android OS. The OS has “Spaces” in it which keeps different sections of the phone separate and encrypted. In this device, every app is on its own and has no access to other apps data or functions. The device ships with a few apps pre-installed like Silent Text, Silent Phone, Silent Contacts, etc. All of these app’s data of communication is encrypted and isolated from each other. 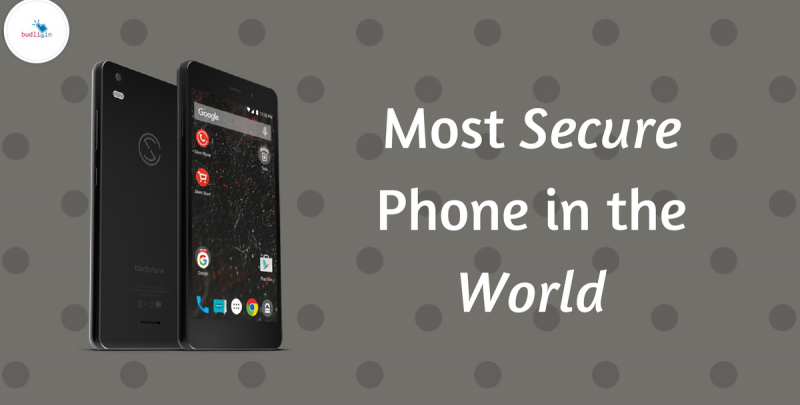 In addition to the Play Store that you usually find on any Android phone, this Blackphone 2 comes with a Silent Store, the world’s first -privacy and security oriented app store. The phone is being sold in the US for a retail price of $629 which translates to be around Rs 41,000 in India. “We’re replacing BlackBerry, we don’t care that BlackBerry’s CEO is throwing nasty things about us onto Twitter. We’re going to dominate them,” said Silent Circle security specialist (and former Navy Seal) Mike Janke. What do you think about this smartphone? Do you think this will be able to beat BlackBerry in terms of security and privacy of touch-screen phone users? Let us know in the comments. We all want a smartphone that is secure but does that mean you need to spend such huge amount of money to have a secure phone? The answer is no! For an average user like a student or a normal employee, it is fine to use a phone that runs on the latest version of operating system and the latest security patches are applied to it. To be able to have such smartphone which is up to date, you need a phone that is new in the market. Does it mean that you need to spend a ton of money every now and then to get a new phone? No! You just need to think smart. Refurbished smartphone is the answer. These devices offer great performance and security to their users and come for a relatively cheaper price. Having the latest smartphone in your hand gives you access to the latest OS versions and the updates of security patches. We budli.in are the leading marketplace for refurbished products in India. We have a huge inventory of products ranging from smartphones, tablets to laptops. These refurbished products are like hot cakes, so head over to budli.in and grab your next best smartphone before they are long gone.